Ring News 24Boxing NewsHas Shakur Stevenson’s Path to Greatness Become That More Clear? About a week ago, it was revealed that Top Rank had finalized a multi-year agreement with management company MTK Global to air its events through ESPN’s platforms, including ESPN and their ESPN + streaming app. Reportedly MTK will be able to showcase up to 30 cards per year, most of them coming from the U.K. as well as Ireland. MTK has risen to a certain level of prominence over the years and presently they represent such star fighters as former lineal champion Tyson Fury, former two-division champion Carl Frampton, former WBO middleweight champion Billy Joe Saunders, and emerging prospect Michael Conlan among many others. Top Rank boss Bob Arum certainly recognizes the potential of such a deal and spoke on what it will mean. It will be interesting to see what comes from this, as well as what it could mean to Top Rank’s current stable. 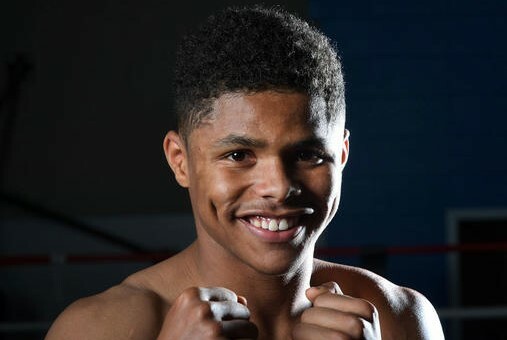 Upon hearing the news of the deal I instantly thought about one fighter who may benefit; undefeated featherweight Shakur Stevenson. Stevenson is presently 10-0 (6 KO’s) and is lined up with his most dangerous assignment to date, as he will be facing one-beaten contender Christopher Diaz on the April 20th Terence Crawford vs. Amir Khan undercard. Diaz is a rugged and gritty fighter, with his only career loss coming at the hands of current WBO junior featherweight champion Masayuki Ito this past July, as he suffered a 12-round unanimous decision loss. Diaz is 24-1 with 16 knockouts and should tell us a little more about Stevenson. But what about after April 20th for Stevenson? Given the recent deal between Top Rank and MTK, it looks like some formidable opponents have now presented themself for Stevenson. For one, there is Conlan, who is also 10-0 with 6 knockouts. Given that the was already with Top Rank, you had to think an eventual crossroads fight with Stevenson and himself was potentially being discussed. That would be a big showdown a few years down the road, but it’s a fight that needs marinating a bit. Even more interesting could be Stevenson vs. Frampton and/or the current IBF featherweight champion Josh Warrington, as both are promoted by Frank Warren, who has a strong working relationship with Top Rank. Warrington defeated Frampton for a first successful defense of his title in a result that was a surprise to many. Frampton is still world-class, however, and him vs. Stevenson could be a great meeting of youth vs. experience. Warrington is eyeing a May 4th defense of his belt vs. Kid Galahad, and Stevenson had already been calling for a possible fight against the champion. And we can’t forget about WBO champion Oscar Valdez, who has shown himself as a blood and guts fighter who is willing to lay everything on the line. He would really test Stevenson’s mettle inside of the ring. All of these would be attractive options for Stevenson and suddenly it seems like his potential path to greatness has become that much more clear.